Approximately 12 percent of the world’s population relies upon fisheries and aquaculture for their livelihood, and over half of the world’s people get a significant source of their animal protein from fish and seafood. The ASEAN–Australia special summit on 17–18 March 2018 concluded with the issuing of the grandly titled ‘Sydney Declaration’. The joint statement nods to many of the issues raised at the summit including security, trade, investment, rights and people-to-people links. Minister for Trade and Industry (Industry) Mr S. Iswaran shared how Singapore will advance ASEAN’s shared interests to grow e-commerce and digital economy under its ASEAN Chairmanship this year. Uber may be the world’s biggest ride-hailing company but it was left in the dust in Southeast Asia by home-grown upstart Grab, which knew better how to navigate the chaotic highways and byways of an eclectic region. 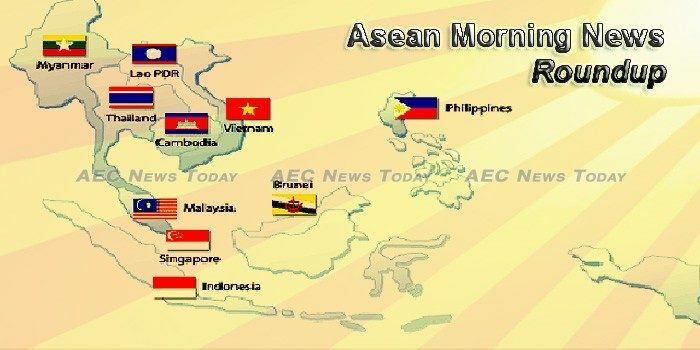 THE heads of Asean intellectual property offices, including Brunei Darussalam, and the Korean Intellectual Property Office (KIPO) signed a Memorandum of Cooperation (MoC) yesterday. Europe constitutes the biggest share of confectionery market, followed by Asia Pacific confectionery market. ASEAN region has become an attractive place to do business. Can fintech bridge Asia’s digital divide? For policymakers and entrepreneurs, the benefits of addressing the digital divide and of harnessing the power of fintech should be clear-cut. Taken together, both steps can increase the level of access to capital and financial inclusion. The German Development Agency, or GIZ, has unveiled a new mechanism yesterday, entitled Facilitating Trade for Agricultural Goods in Asean (FTAG) in order to provide recommendations for Cambodia, Thailand, Vietnam and other Asean countries to support the facilitation of agricultural trade in Asean. With fewer young Chinese available to work in factories and environmental regulations in the country becoming tougher, some manufacturers, like Japanese casual clothing retailer Adastria, are shifting their focus to Southeast Asia, where production costs are significantly lower. By the standards of global diplomacy, Australia’s decision to host its first-ever summit with the Association of Southeast Asian Nations is hardly epoch-making. The Mekong River Commission (MRC) will be holding its third summit in Cambodia next week to reaffirm a regional political commitment to ensure the sustainable use of resources provided by the mighty river in the face of growing pressure from economic development in the region. SOUTH-EAST Asian countries need to set clear policy and regulatory frameworks for investors to want to invest in renewable energy, according to the top official of International Renewable Energy Agency (IRENA). THE signing of the Memorandum of Cooperation (MoC) between heads of the intellectual property offices of Asean member states and the Korean Intellectual Property Office (KIPO) will contribute to deepening cooperation between Asean and Korea. Thai shares gain momentarily after the Monetary Policy Committee raised its GDP forecasts for the year, but eventually finished 0.98% lower on Wednesday. At the Asia-Pacific Economic Cooperation (Apec) Summit in November 2017, American President Donald Trump declared: “We are not going to let the United States be taken advantage of anymore … I am always going to put America first”. A 76-year old Buddhist monk living on his own in his forest monastery in North-eastern Thailand has appealed for international help after receiving death threats from illegal loggers according to a report in Bangkok Post. Senior officials of the Ministry of Economy and Finance said that foreign direct investment in Cambodia reached $ 2.5 billion by 2017, and will increase to approximately $3 billion by 2018. The UN Food and Agriculture Organisation (FAO) is forecasting that 44 percent of Cambodia’s total rice exports will be smuggled out of the country through informal channels this year, a persistent problem that weighs down profits and threatens to cripple the industry. A PAIR OF FEMALE Cambodian entrepreneurs placed second in a regional business competition on Saturday, beating out university teams from six countries with their startup idea – called Eco-Plastic – that could utilise Cambodia’s plastic waste to pave cheaper, more durable roads. Two Indonesian state companies plan to sell private equity funds to raise 8 trillion rupiah ($583.6 million) to strengthen their finances, the government said on Tuesday. Scientists are calling for restrictions on shark fishing to prevent them being wiped out from waters around Indonesia. Digital signature platform PrivyID, branded as Indonesia’s answer to DocuSign, is in the process of raising a $5-million Series A funding round led by existing investors MDI Ventures and Mandiri Capital Indonesia, according to its CEO Marshall Pribadi. Is Laos Really Getting Tough on Crime? Thongloun Sisoulith, Laos’ prime minister, wants it to be known that his administration is getting tough on crime. Malaysia’s economy is expected to grow at a faster pace than forecast earlier thanks in part to improving global demand, the central bank said, but it warned of risks to the outlook from monetary tightening in advanced nations and heightened trade protectionism. The Malaysian economy is expected to expand 5.5% to 6% this year after a strong growth of 5.9% last year, according to Bank Negara Malaysia (BNM). The approval rate for business loans has been maintained at about 70-73% despite rumours that the rate would fall further as banks become stricter with their lending guidelines, said Bank Negara Malaysia governor Muhammad Ibrahim. Two years after taking office, the graying leadership of Myanmar’s ruling party lacks a new generation to inherit power, risking the pro-democracy camp’s ability to check the power of its military rivals. Lawyers for two Reuters reporters jailed in Myanmar asked a court on Wednesday to throw out the case, saying there was insufficient evidence to support charges against the pair, who are accused of possessing secret government papers. A longtime loyalist to Myanmar’s civilian leader, Daw Aung San Suu Kyi, was chosen on Wednesday to be the country’s new president, a largely ceremonial role in which he is expected to be the official conduit for her authority. The national government’s debt stock further swelled to another new record-high P6.821 trillion in February partly as the peso further weakened against the US dollar that month. Regional investment powerhouse Maybank Kim Eng Group sees the Philippines growing by 7 percent this year as the Duterte administration’s ambitious “Build, Build, Build” program may finally show more “visible impact” on the economy. Residential real estate prices rose by 5.7 percent year-on-year in the fourth quarter of 2017 as the Residential Real Estate Price Index increased to 117.4 from 111.1 in the same quarter a year ago, the Bangko Sentral ng Pilipinas (BSP) said. A new Robotics Centre was opened on 23 March 2018 at JTC LaunchPad @ one-north, the heart of Singapore’s startup ecosystem hub, to support robotics and automation startups. Around 900,000 Singaporean HDB households can expect to receive S$126 million worth of Service & Conservancy Charges (S&CC) rebates for the Financial Year 2018 (April 2018 – March 2019), as part of the additional support for households announced during Budget 2018. The Select Committee studying online falsehoods on Tuesday (March 27) released the chronology of its correspondence with another international non-governmental organisation, the second time it has done so in five days — after Reporters Without Borders followed in the footsteps of Human Rights Watch in dropping out of the public hearings. At least five directors of the centres for the protection of the destitute have, so far, been found to be implicated in the alleged embezzlement of the fund for the poor and the destitute, said Minister of Social Development and Human Security Gen Anantaporn Kanjanarat, on Wednesday (March 28). The probe into an embezzlement scandal involving the Sema Phatthana Chiwit Fund will be concluded by Songkran or the end of April at the latest, Education Minister Teerakiat Jareonsettasin said Wednesday. Sold to a boat operator in Thailand for 6,000 baht ($192) two years ago, Win from Myanmar worked as a fisherman until he lost his forearm in an accident on the vessel this year. The garment and textile industry reported its fiber exports to surge sharply by 22.7 percent last year, contributing US$3.59 billion to the industry’s total export revenue. Vietnamese firms should expand their partnership to at least three markets to avoid sole dependence on a particular market, said economist Phạm Chi Lan. A crackdown on corruption in Vietnam unnerved some foreign investors when it intensified last year, but they are now getting much more sanguine about it and some say the business climate is improving as a result.